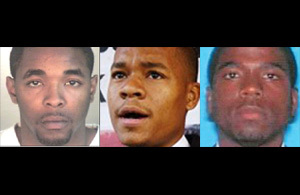 OAKLAND — The trial of two men accused in the 2007 murders of journalist Chauncey Bailey and two other victims will begin Nov. 8 — sort of, anyway — a judge ordered Thursday as he sparred with lawyers seeking more time to prepare. Opening arguments in the long-delayed trial, though, could begin as late as February following jury selection and legal wrangling over evidence and other issues, Superior Court Judge Morris Jacobson said. He at first proposed starting the proceedings before Judge Thomas Reardon next week. Lawyers for former Your Black Muslim Bakery leader Yusuf Bey IV and Antoine Mackey repeatedly told Judge Morris Jacobson they needed more time. Prosecutor Melissa Krum also said she wasn’t ready. Krum took over the case in July; Bey IV’s lawyer, Gene Peretti, replaced previous counsel Lorna Patton Brown in April. Both Peretti and Mackey’s lawyer, Gary Sirbu, said they had concerns about having enough preparation time to adequately represent their clients. Bey IV is accused of ordering the killing of Bailey, former editor of the Oakland Post; Mackey is accused of helping confessed killer Devaughndre Broussard, 24, hunt down Bailey and then flee the scene. Bey IV and Mackey, both 24, are also charged with the murders of two other men, Odell Roberson and Michael Wills, in unrelated cases. Bailey, 57, was killed Aug. 2, 2007, on his way to work in downtown Oakland. Jacobson noted that as court-appointed lawyers, both Peretti and Sirbu are being paid by taxpayers to work on the case full time. At one point he threatened to conduct a hearing to examine their day-by-day progress in preparing defenses. The judge then took both defense lawyers in his chambers for about 15 minutes before emerging and saying the Nov. 8 date before Reardon was firm. As the lawyers and judge debated, their voices sometimes rising, Mackey sat impassively in a red and white striped jail jump suit, his arms wrapped with dull green tattoos. Bey IV sat in the opposite end of Jacobson’s jury box in a red jump suit signifying his status as a prisoner in protective custody. He told police the day after Bailey’s killing that Broussard had admitted the killing to him but insisted that he had no foreknowledge of it. Based largely on Broussard’s testimony to a grand jury last year, Bey IV is charged with ordering Bailey, Roberson and Wills killed. Broussard told the grand jury they he was ordered to shoot Bailey to stop the journalist from publishing a story about the bakery’s financial troubles and Roberson because he was the uncle of a man convicted of killing one of Bey IV’s brothers, according to a transcript of his testimony. Mackey, Broussard testified, bragged that Bey IV ordered him to shoot Wills because he was white. Last week, the lawyers argued before Reardon that the defendants deserve to have the case moved out of Alameda County because what they described as an avalanche of news coverage about the killings. Reardon ruled that he would only consider a change of venue if attempts to seat impartial jurors proved futile. One of the first motions expected to be filed before Reardon in November is a request by Sirbu to try Mackey and Bey IV separately.